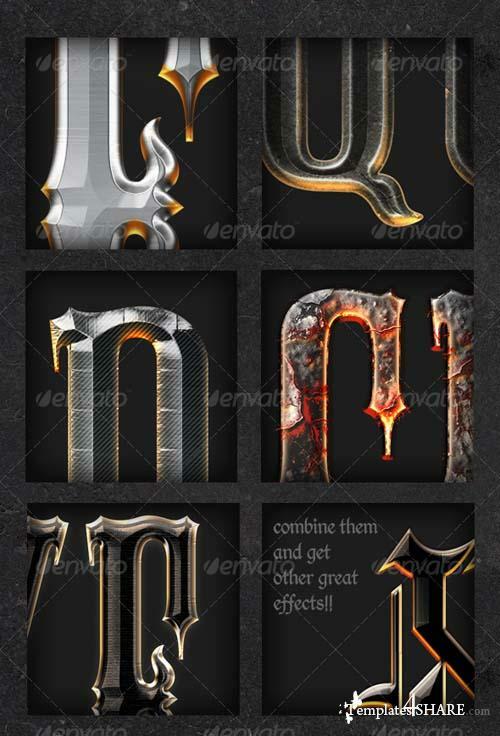 15 Photoshop Layer Styles, amazing, unique and exclusive for this marketplace. The Styles are already divided in 3 Sets for small, big, and medium resolutions (however they can be scaled to infinite, like a vector). These Layer Fx are useful when designing flyers, videogames, posters and making typographic effects.